Winner of the 2013 Kathleen Ferrier Award, baritone Gareth Brynmor John held a choral scholarship at St John’s College, Cambridge, before taking a place at London’s Royal Academy of Music. In his final year, he won the Royal Academy of Music Patrons’ Award and was awarded the Silver Medal by the Worshipful Company of Musicians. Gareth was awarded an Independent Opera Postgraduate Voice Fellowship in 2013. Gareth’s operatic roles with the Royal Academy Opera include Title Role in Eugene Onegin, Claudio in Béatrice et Bénédict with Sir Colin Davis, The Ferryman in Curlew River, Sprecher in Die Zauberflöte, and Sir Thomas Bertram in Jonathan Dove’s Mansfield Park. Other roles include Papageno in Die Zauberflöte, Sid in Albert Herring, Gendarme in Les Mamelles de Tirésias, Theseus in A Midsummer Night’s Dream, Escamillo in Carmen, Eliab in Samuel Hogarth’s David and Goliath, and Il Conte in Le nozze di Figaro. He created the character Carl in Stefano Gervasoni’s opera buffa Limbus Limbo which premièred at the Strasbourg Festival Musica. 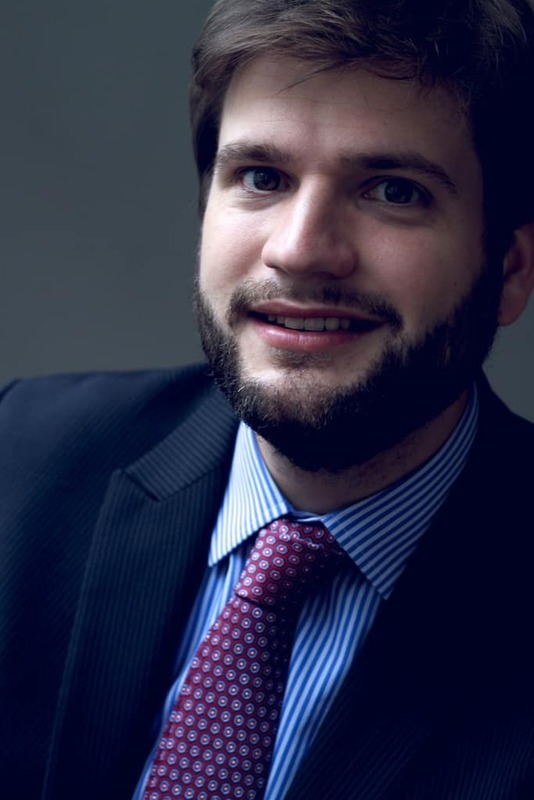 Gareth understudied the role of Cecil in Maria Stuarda for Welsh National Opera’s 2013 Tudors Series and understudied Ephraimite in Schoenberg’s Moses und Aron and Roderick Usher in Getty’s Usher House in Welsh National Opera’s 2014 summer season. He joins English Touring Opera for their 2015 Spring Season, understudying Edoardo in The Siege of Calais and Marcello in La Bohème and sings the role of Shackleton in Hepplewhite’s Shackleton’s Cat. Gareth has performed with a number of the UK’s leading orchestras and ensembles including The Philharmonia, the London Mozart Players, The Brandenburg Sinfonia, and Charivari Agréable. Recent concert highlights include Vaughan Williams’s Five Mystical Songs and Sea Symphony; Rachmaninoff’s The Bells; Orff Carmina Burana and Britten’s War Requiem. Gareth has a strong interest in song repertoire and performs in the Songsmiths Series at St John’s Smith Square. His debut Wigmore recital with Matthew Fletcher featured songs by Ravel, Brahms, Schubert and Vaughan Williams’s Songs of Travel. Other performances include Britten’s Songs and Proverbs of William Blake at the Wigmore Hall, Brahms op. 71 and Wolf’s Italienisches Liederbuch at the Royal Academy of Music, a recital featuring songs by Brahms at King’s Place, settings of the work of English poet Walter de la Mare at the London English Song Festival with William Vann and a recital with Joseph Middleton at the Barber Institute. Gareth has recorded the Schoenberg arrangement of Mahler’s Lieder eines fahrenden Gesellen with Trevor Pinnock and the RAM Soloists Ensemble for Linn Records. Forthcoming performances include a recital of Vaughan Williams songs for the London English Song Festival 2015, and the role of Sharpless (Madam Butterfly) at the Arcola Theatre in a co-production with Bury Court Opera.